How does one travel to Antarctica? It isn’t easy, that’s for sure. The majority of people traveling to the continent are going to the South Pole, McMurdo Station or their associated field camps. These people all meet in New Zealand and head over in cargo planes. I’m headed to Palmer Station so it’s the ship’s life for me! Our ship left Punta Arenas, a small city located about as far south in Chile as you can go. It took over 24 hours to get here by flying through Miami, Santiago, Puerto Montt and finally getting to our destination. It’s a great little city to explore! 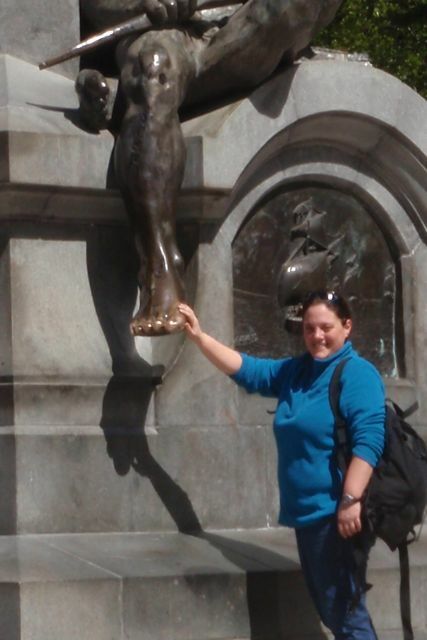 We were in port only one night and that meant fitting in a quick trip to the city square. 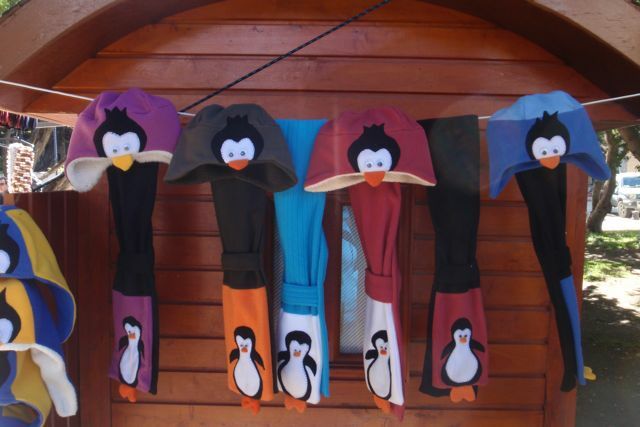 There is an area in town set up as a market with trinkets, many of them featuring everyone's favorite feathered friends. Foot rubbing for good luck! Exploring time was cut short since our cargo had to get on the boat, including the luggage that had traveled with each participant. Everyone also had to pick up their Extreme Cold Weather (ECW) gear. 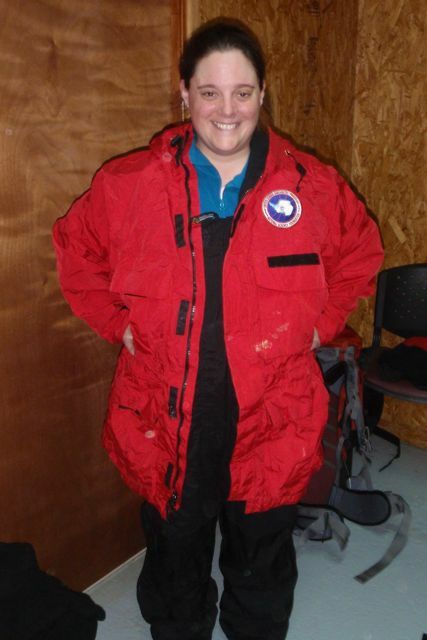 This includes everything that I should need to do my work in Antarctica: boots, gloves, hats, rain gear, snow pants and the iconic red parka. I’m outfitted to the max! 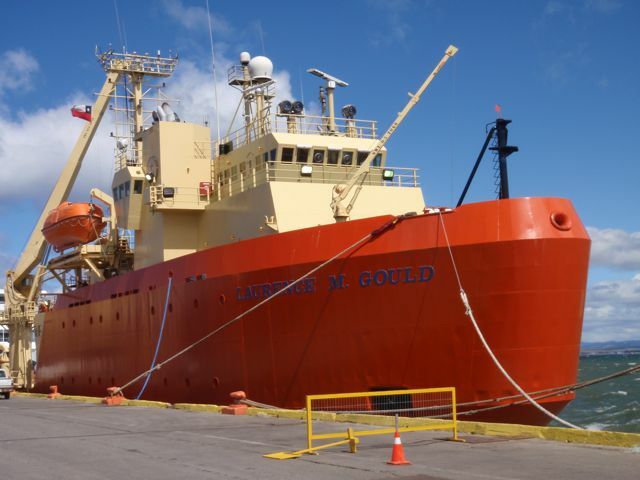 The R/V Laurence M. Gould will be my home away from home for the next several weeks while I cross the Drake Passage and then journey down along the western Antarctic Peninsula. 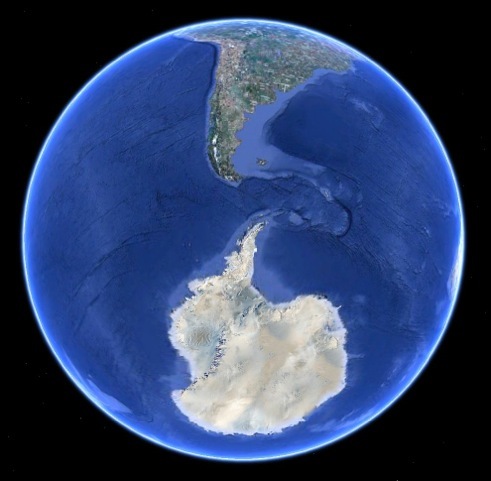 The broken land connection between Antarctica and South America can clearly be seen in this picture. Thanks to this passage, continuous ocean current circulation around the Antarctic continent became possible about 34 million years ago. And the adventure begins! Below is a short clip showing my departure from Punta Arenas. Track the ship's progress here. Seems like you won't be needing a white-noise machine to sleep while on that ship! Enjoy!